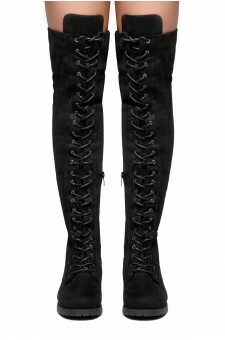 These Faux Suede thigh high boots Move On Up features a round toe silhouette, adjustable lace-up ties. Easy pull-on constructions with partial side zip closure. Stacked heel and a lightly padded insole for comfort. Only Available in Black! The first day got these shoes I wore them and then out dancing all night. They fit true to size and seem better quality than ones I was looking at for almost triple the price. Great find! I just wore these shoes for the first time, and I was pleasantly surprised with how comfortable they are right out of the box particularly for their reasonable price. Such a great find! 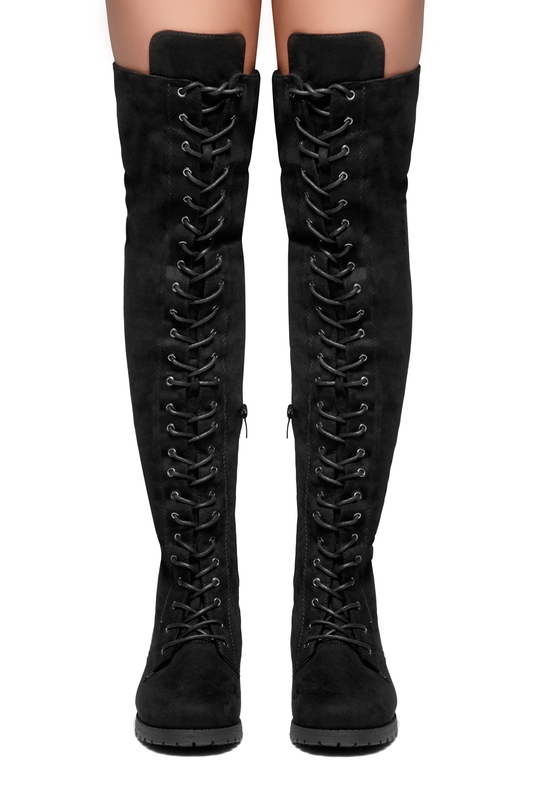 I love these so muchy!!! They are so comfortable and fit true to size. I wear a 8 and got these in the exact size and they fit perfect. These are great quality for a better than in store price! Love them!! !